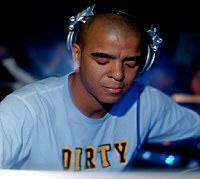 Erick Morillo is a DJ, music producer and record label manager from the US. He has released music under a number of pseudonyms, including Ministers De la Funk, RBM, Deep Soul, The Dronez, Club Ultimate, RAW and Smooth Touch. But Erick Morillo is most known for his international house music production for the record label Strictly Rhythm. One of the highest moments in his career was the 1993 hit 'I Like to Move It' which he produced as Reel 2 Real. The track went on to be featured in movies, commercials and ringtones. The young Erick began his DJ career playing on his local party circuit at the very early age of 11, mainly at weddings for family and friends. Later Morillo studied audio engineering. A connection with Latin reggae star El General led to the collaboration of the 'Muevelo' single, a mix of house and reggae music. This single was Morillo's first platinum establishing his name in Latin club music. A subsequent friendship with singer and songwriter Marc Anthony, led to another series of important collaborations with Little Louie Vega, who significantly influenced his sound. Erick Morillo is now a television personality with appearances on MTV UK, MTV IBIZA, the UK's 2001 Dancestar Awards and a Channel 4 series that followed him to the biggest parties around the world and was seem by millions. His artist album 'My World' features elite collaborations with Puff Daddy, Audio Bullys, Terra Deva and DJ Rap.